thebahamasweekly.com - Bahamas International Film Festival announces Opening Night film – "Sprinter"
Nassau, Bahamas – The Bahamas International Film Festival (BIFF) announced today that acclaimed sports drama “Sprinter,” from executive producers Jada & Will Smith, will be the Opening Night film of this year’s festival, which takes place Wednesday, November 28 at the Palm Lawn at Grand Hyatt Baha Mar at 7:30pm. The announcement was made today by BIFF Founder and executive director Leslie Vanderpool. Written and directed by Storm Saulter (“Better Mus Come”), the film’s all-star cast includes newcomer Dale Elliott, Kadeem Wilson (“Ghett’ A Life”), Dennis Titus (“The Mighty Quinn”), Shantol Jackson (“Yardie”), Bryshere Y. Gray (“Empire,” “The New Edition Story”), with Lorraine Toussaint (“Selma,” “Orange Is The New Black,”), and David Alan Grier (“The Wiz Live,” “The Carmichael Show,” “In Living Color”). 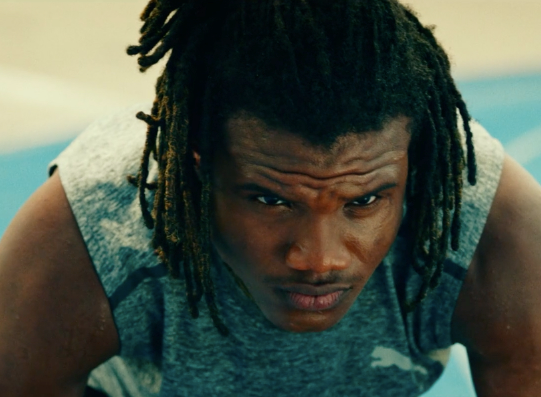 The film, shot on location in Jamaica, stars Dale Elliot as Akeem Sharp, a Jamaican teen burdened by an unstable father and an unruly older brother, who hopes that becoming the island’s next track-and-field sensation will reunite him with his mother, who has lived illegally in the U.S. for over a decade. BIFF 2018 begins Wednesday, November 28th and runs through Thursday, December 6th. Additional announcements pertaining to the Film Festival lineup will be made in the coming month.